A valid fishing license with a freshwater or saltwater stamp endorsement is required to take fish, mussels, clams, crayfish or other aquatic life in the public waters of Texas. A hunting license is required to take turtles and frogs. 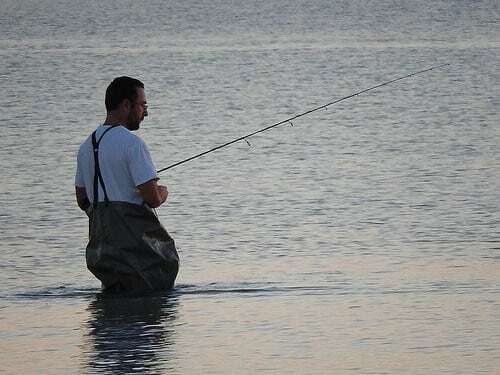 The first Saturday in June of each year is the annual Free Fishing Day and no person is required to have a fishing license or stamp endorsements while fishing on that day. But, if you need a fishing license after that we have them available at Stanley’s General Stores. A fishing license and stamp endorsement are not required if fishing from the bank in a state park or in waters completely enclosed by a state park. All other fishing regulations, such as length and bag limits, remain in effect. Recreational anglers must have a Texas fishing license and saltwater endorsement to bring any fish taken in federal waters ashore in Texas (see Fishing in Federal Waters) or possess fish on a vessel in the tidal waters of Texas.